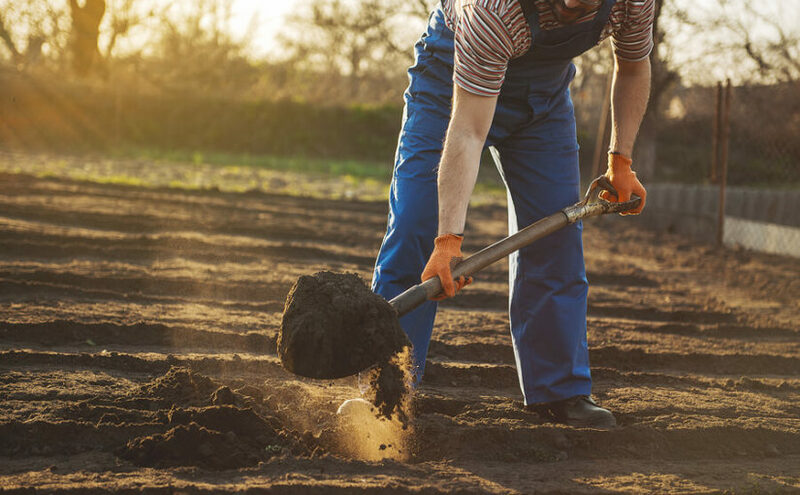 Here are five garden improvements you can make in April, from some fairly simple steps to spruce up your outside space for the spring-summer season, to more substantial projects that you might want to devote the long Easter weekend to getting finished. It might sound obvious, but if your garden is still in a state of disarray from the end of winter, now is the time to give it a proper tidy up. You can start by cleaning hard surfaces like paths and patios, as well as picking up any fallen branches following windy weather. Take a good look at your trees and shrubs too, as they may be in need of pruning, either to remove damaged limbs from winter storms, or to promote healthy growth and a pleasing shape. April is a good time of year to get flowerbeds fertilised and consider your options if your grass is looking bare after winter. Be careful of any bulbs that are growing through, but where it’s safe to do so, add surface mulch or dig through some compost to enrich your soil. On lawn areas that are looking patchy or sparse, scarify away dead growth, add some seed and feed to regrow the grass, or lay turf for an instantly restored lawn. One of the most common DIY jobs after winter is to fix the fence if any panels are loose or broken after stormy weather, or have come away from the fenceposts completely. You may be able to put the existing panel back into place but if it’s broken and the rest of the fence is in a state of disrepair too, it could be time to replace the whole lot. To do so, you’ll probably want to hire a skip to throw out all of your old fence panels and any fenceposts you remove too, as this is bulky, heavy waste to have to handle. Another garden DIY job for summer where skip hire can be a big help is when laying new paths and patios, especially if you have old paving to get rid of that can’t be reused or sold second-hand. You could also easily end up with a lot of earth to dispose of, if you have to dig down at all to set your new patio into ground level or just to even out the sublayer. Last but not least, ponds, rockeries and raised flowerbeds each pose their own construction challenges and again can leave you with quantities of low-quality soil and rubble to dispose of. Hire a skip and as you dig out the pond or the footings for the rockery, you have somewhere to dump each full wheelbarrow of earth and any rubble leftover from the building process. Next Next post: How can skip hire help tackle the rejected recycling rate in Leeds?